Indeed, as the gift-giving season approaches, consider how those you love might love to receive one of our books! What’s that you say? “Shut up about the holidays; it’s too early for all that now,” you say. Well, with online ordering you have to think about shipping and potential delays, and we wouldn’t want anything to come between your loved ones and the Problematic Press title(s) they have their hearts set on! So, no matter what you choose to celebrate or refuse to celebrate, Problematic Press has a special little something for your special little someone! 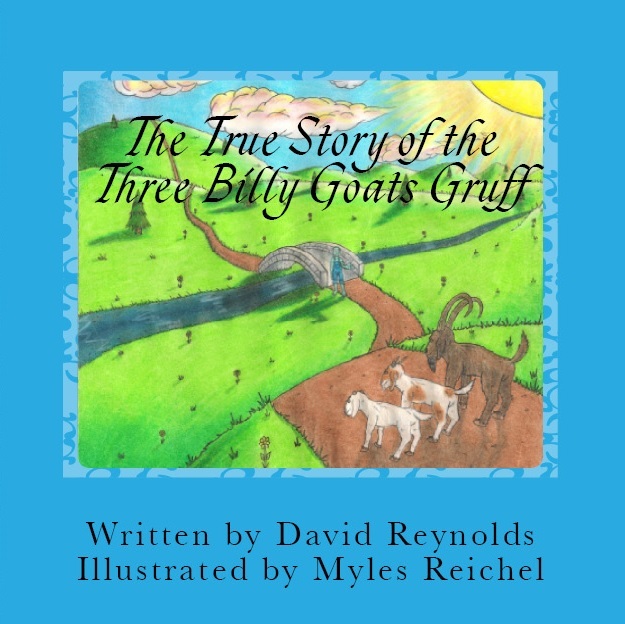 The True Story of the Three Billy Goats Gruff: The Troll’s Side of the Story was written by David Reynolds when he was about 9-11 years old. 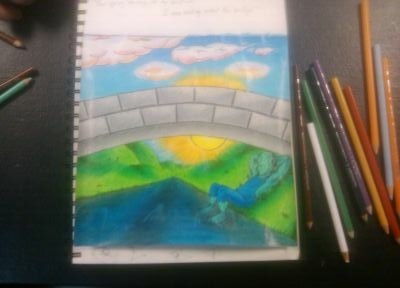 It relates the young author’s reinterpretation of the classic Norwegian fairytale, considering how the troll might have seen things differently. 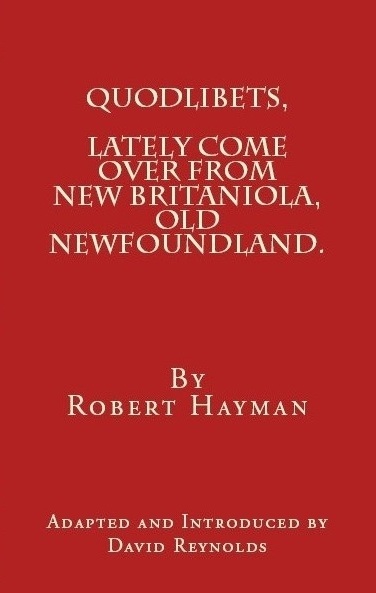 Robert Hayman’s Quodlibets, Lately Come over from New Britaniola, Old Newfoundland is a collection of witty, poetic verses that were penned while he served as governor in colonial Harbour Grace, Newfoundland between 1618 and 1628. His is likely the first English poetry penned in North America. And, his work is quite impressive. 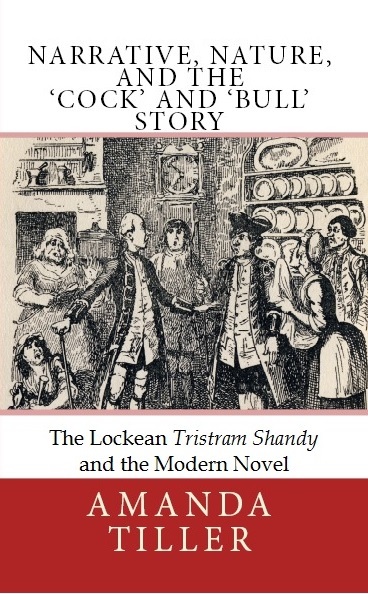 Containing original poetry as well as his translations of pieces by John Owen and Francois Rabelais, Quodlibets reflects on thieves and knaves, good wives and whores, as well as the untamed beauty of Newfoundland. Hayman’s poetry exposes his love for Newfoundland, inviting the adventurous and hopeful to settle this rock. 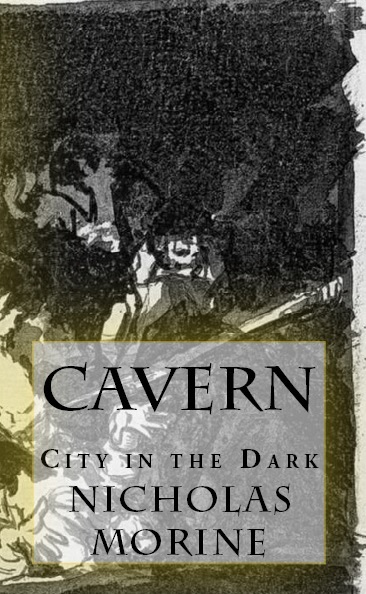 The language for this edition has been updated by David Reynolds to facilitate reading for modern audiences yet preserve the poetic voice of the author. 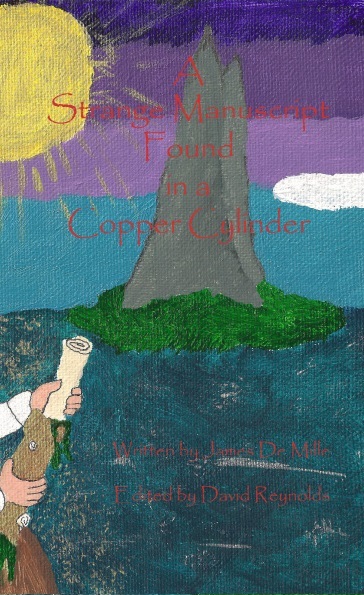 It’s been more than 125 years since A Strange Manuscript Found in a Copper Cylinder was first published, and now Problematic Press is pleased to present this annotated edition of James De Mille‘s classic masterpiece. This book is now available in print and Kindle editions! Fawning, Fear, and Frustration: A Collection of Teenage Poetry from the 90s collects thirty six poems by a young David Reynolds. It features a range of poetry that considers love, death and confusion in addition to a number of matters that lay somewhere in between. 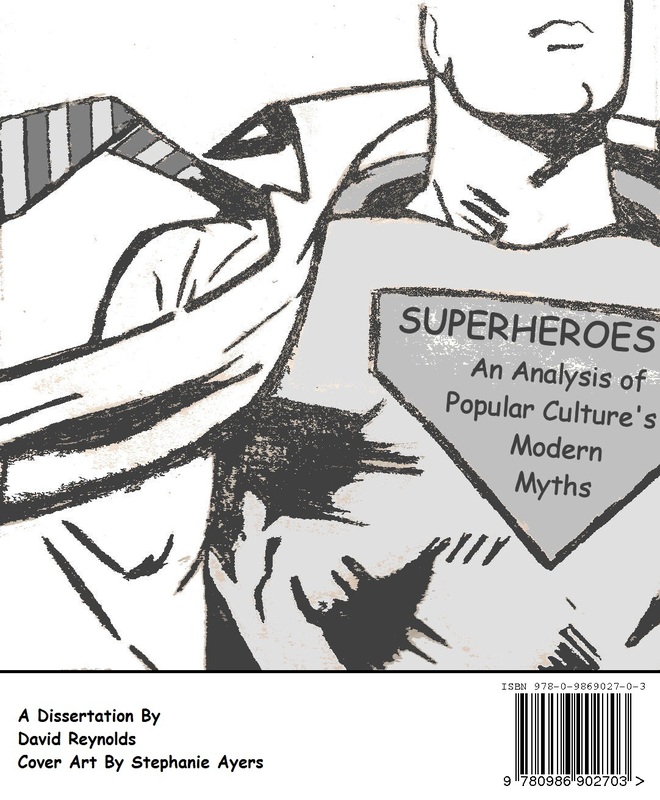 Superheroes: An Analysis of Popular Culture’s Modern Myths by David Reynolds is a semiotic and cultural anthropological interrogation of popular North American superhero narratives, such as those of Superman, Spider-Man, and Batman, that provides insight into how media’s messages influence the culture’s ethical values. Since emerging in the late 1930s, the superhero has become a pervasive figure in North American popular culture. As an extension of ideas presented by Friedrich Nietzsche, Joseph Campbell, and Umberto Eco, this dissertation argues that superhero tales must be regarded as modern mythology. It follows that people observe and learn social norms of justice from such narratives, since these ideals are intrinsic to the tales. In investigating the superhero’s role as a contemporary figure of myth, this project focuses primarily on three areas: an account of the history of the superhero from 1938 to present; an examination of the cultural functions of contemporary superhero narratives; and, an interrogation of vigilantism, responsibility, and justice in these narratives and how those concerns further relate to ideologies and practices in North American culture. If you aren’t in the St. John’s region of Newfoundland and Labrador, then you can find print and Kindle copies of our titles online from the Problematic Press Shops (CAN and US). Otherwise, you might find us pushing books with a table at the St. John’s Farmers’ Market. We hope to see you there! From all of us at Problematic Press to all of you, we hope your holiday season is full of joy and merriment… and reading! Problematic Press is pleased to announce that David Reynolds and Myles Reichel will be appearing at Sci-Fi on the Rock 8 at the Holiday Inn throughout the convention, from May 23rd-25th! The writer and illustrator of The True Story of the Three Billy Goats Gruff: The Troll’s Side of the Story will be at the Problematic Press table, found along Diagon Alley. They’re totally stoked about this book, and they’d love to hear from you and sign your copy! This book and our others will be available for purchase at SFotR8, too, so you can pick up whichever titles tickle your fancy! We have a variety of titles in different genres. Besides this reinterpretation of a classic fairytale we have books that dabble with superhero scholarship, action-dystopia, Sterne scholarship, classic short fiction, early Canadian science fiction, early Newfoundland poetry, and more! See below for book descriptions and pricing. Copies of this book can be purchased from the Problematic Press table at SFotR8 for $15CAN. Copies of this book can be purchased from the Problematic Press table at SFotR8 for $18CAN. Copies can be purchased from the Problematic Press table at SFotR8 for $15CAN. Copies can be purchased from the Problematic Press table at SFotR8 for $10CAN. Copies can be purchased from the Problematic Press table at SFotR8 for $30CAN. Copies of this book may be purchased from the Problematic Press table at SFotR8 for $10CAN. Copies of this book may be purchased from the Problematic Press table at SFotR8 for $8CAN. 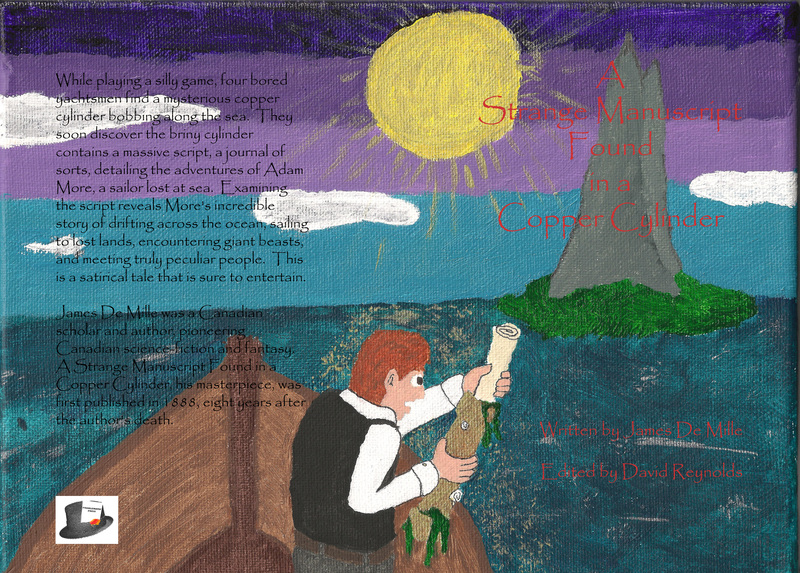 If you can’t make it out to SFotR8, don’t worry – copies can also be purchased online from the Problematic Press Shops (CAN and US). Additionally, wholesale purchases of Problematic Press titles can be made through CreateSpace Direct, Ingram, and Baker & Taylor. Feel free to contact us if you have difficulty ordering (send email to problematicpress@gmail.com). We’ll be involved with some other attractions throughout the convention, as well. Our own David Reynolds will be delivering a short presentation 11:30am on Sunday, May 25 titled Superman, Batman, and War-Time Propaganda as part of the Warp-Speed Workshops series. On top of that, Myles Reichel will be attending the video screening of Uneeda‘s music video, “Momentum.” You can even pick up a Ninja Story t-shirt from the Problematic Press table! While you’re attending the convention, be sure to take in all of the other great attractions! There are special guests, film screenings, workshops, and more to entertain the whole family! Direct all media inquiries to problematicpress@gmail.com. Thank you. Problematic Press is a small, independent book publishing endeavour founded by David Reynolds and based in St. John’s, NL. Problematic Press has a mission with a broad scope, aiming to entertain and educate readers of all ages. Perhaps that’s problematic. Problems make us think. Regardless, Problematic Press will produce original works as well as popular classics, with an emphasis on texts that challenge readers’ notions and the status quo. 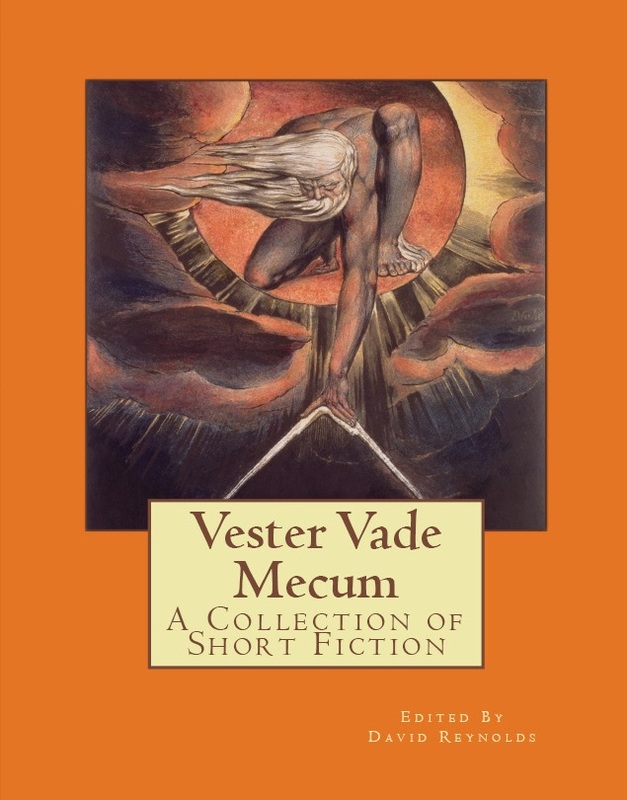 Special attention is given to Newfoundland literature, Canadian literature, and other imaginative works from such genres as speculative fiction, fantasy, science fiction, pulp fiction, non-fiction, comics, and children’s books. Problematic Press will also release selected anthologies of poetry and short fiction, some of which will be formatted as textbooks suitable for high school and post-secondary education. The attention span of the collective consciousness is too short. Problematic Press aims to challenge readers while revitalizing interest in important narratives from the past that remain relevant today. We are all kinds of excited to be presenting a children’s story written by David Reynolds when he was just a young boy, about 9-11 years old. The True Story of the Three Billy Goats Gruff: The Troll’s Side of the Story is the young author’s reinterpretation of the classic Norwegian fairytale, considering how the troll might have seen things differently. Subtle and charming, bright and playful, The True Story of the Three Billy Goats Gruff: The Troll’s Side of the Story is best suited for adults reading to young children, for early readers, and for all of us children-at-heart. This book is now available in print and Kindle editions! Find your copy in the Problematic Press Shops (CAN and US). This little nugget from the past is lovingly illustrated by Myles Reichel. Yes, the same Myles Reichel of Uneeda fame. You might also find him at Von Stytch Tattoo & Art Studio/Gallery. This work showcases the gentler side of the punker tattooist, and his work here looks fantastic! The True Story of the Three Billy Goats Gruff: The Troll’s Side of the Story also includes Sir George Webbe Dasent’s translation of the Norwegian classic. This is the popular tale of the Gruffs’ encounter with a terrible troll, but here, read together with Reynolds’ reinterpretation, it reinforces the message that there are often two sides to a story. For those of you lucky enough to be in St. John’s, Newfoundland between May 23rd and 25th, you can pick up your copy of The True Story of the Three Billy Goats Gruff: The Troll’s Side of the Story at Sci-Fi on the Rock 8! Both Reynolds and Reichel will be manning the Problematic Press table, so this is a great chance to meet the book’s creators! Be warned, however, that our quantities on-hand are very limited! Otherwise, copies can be purchased from the Problematic Press Shops (CAN and US). The book can also be found on Amazon.ca as well as Amazon.com. Additionally, wholesale purchases of The True Story of the Three Billy Goats Gruff: The Troll’s Side of the Story can be made through CreateSpace Direct, Ingram, and Baker & Taylor. It’s September, so to celebrate the return of the school season Problematic Press is presenting Superheroes: An Analysis of Popular Culture’s Modern Myths FREE for a limited time! For 5 days only, between today and September 7, 2013, the Kindle edition of Superheroes is FREE to download. It’s our Back-to-School gift to you! It’s no trick; during this limited-time offer anyone can download a FREE copy of David Reynolds‘ dissertation on how superhero narratives function in society. You don’t even need a Kindle e-reader to take advantage of this opportunity because the Kindle App is freely available for PC, Mac, and mobile devices. If you miss this special offer, Problematic Press presents this little tidbit as a consolation prize: Amazon Prime members can, from now until October 26, 2013, borrow Superheroes: An Analysis of Popular Culture’s Modern Myths from the Kindle Owners’ Lending Library. That means you can borrow the book and read it all you like! So, be sure to get your digital copy of Superheroes for the Kindle!